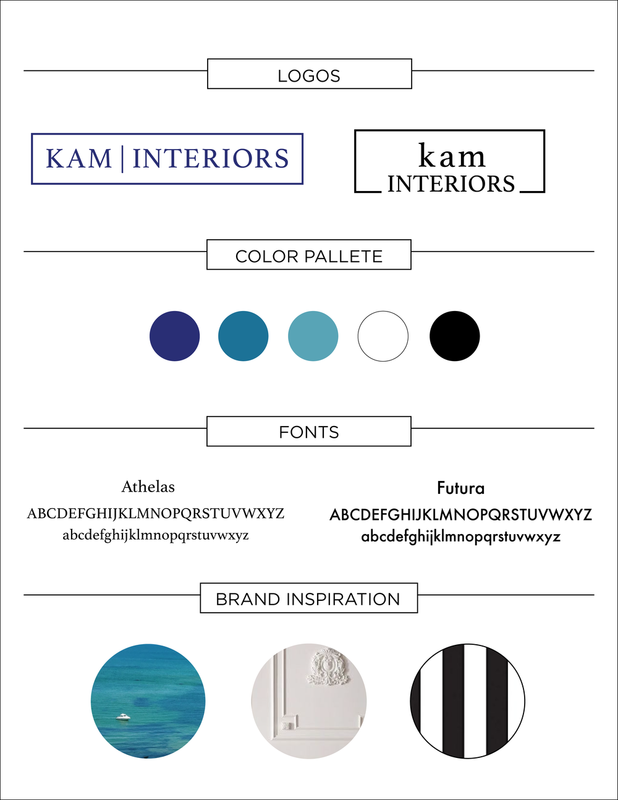 KAM Interiors is an interior design company out of Philadelphia, PA. When I began to work with KAM Interiors we identified that the beaches in Martha's Vineyard were a huge source of inspiration for the designer. From there we discussed the style of design KAM intended to produce. With this information in mind I pulled colors from Gay Head in Martha's Vineyard and kept the logo design simple and clean.